Faced with decreased earnings as a result of the recession, consumers are putting their frugal mindsets to greater use. We’re increasingly demanding discounts and coupons on more categories in an effort to cut back our spending. Let’s use dining out as an example. As a child growing up in the 90’s, I don’t ever remember my parents clipping restaurant coupons. Maybe it was because we lived in a small town with only a few restaurants to choose from. Today, I couldn’t imagine not looking online for a coupon before going out to eat. I don’t find one every time, but when I do the average savings is about 20%. WiseBread has a list of 25 things to never pay full price for. I want to focus on a few and share some strategies that have worked for me. 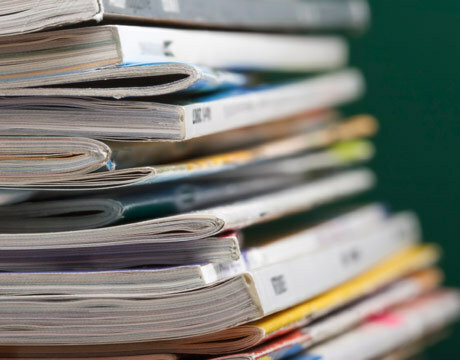 If you’re looking for a good variety of current, free magazines, look no further than your local library. Most libraries offer dozens of the most popular titles. If the library isn’t your thing, check out DiscountMags.com. They offer yearly subscriptions of rotating titles as low as $4, but you have to search for a coupon code to get that price. Amazon also has a good selection at decent prices. Each time a renewal notice comes for one of your subscriptions, it’s a good idea to think about whether you actually read the magazine anymore. Do they sit in a pile on the coffee table collecting dust? If so, it’s time to cancel your subscription. Unless you are getting cash back or rewards points on your credit card, you should never pay full price for a gift card. Think about it. You’re taking actual, real cash and turning it into credit that you can only use at one store. For that inconvenience, you should get a discount of at least a few percent. Buying gift cards at a discount is a great way to save money before you even walk into the store. GiftCardGranny.com is the best site I’ve seen for buying gift cards. It compiles gift cards from many different sources, so you don’t have to visit several sites to find the best deal. They give you a list of available cards from each store and provide info including the discount you get, shipping cost (if any) and who the seller is. I recently saw a JC Penney card valued at $130 on sale for $107 with free shipping — a discount of 18%! A quick trip over to Expedia to search for rental cars tells us that an economy car can cost as much as $50 a day, with the lowest price at $30. That’s expensive. So how do you find the best deal on a rental? There are two things you can do. The first is to use Priceline. Using blind booking, you must agree to book a non-refundable rental for a set date. If you know your trip will definitely happen and you don’t care which company you rent from, this is the best way to go. You can save up to 40% using this method. The second is to book at the cheapest published rate you can find online. Because car rentals are fully refundable pretty much up until the day of your trip, you can re-book at any time if a lower rate comes along. But who wants to constantly monitor for better rates? A new site called AutoSlash has developed a solution. You can either search for rentals on their site or enter a rental you’ve already booked. Then, they continually monitor for coupon codes or lower rates that pop up and automatically re-book you at the lower rate. It doesn’t get much easier than that! Nobody should pay full price for everything they buy anymore. New websites become available every day to help us get a better deal on the things we buy. Use these resources and your own creativity to come up with ways to save on just about anything.